#2 27th Aug 2006 at 2:39 PM Last edited by simfantastic2 : 27th Aug 2006 at 3:05 PM. 3. 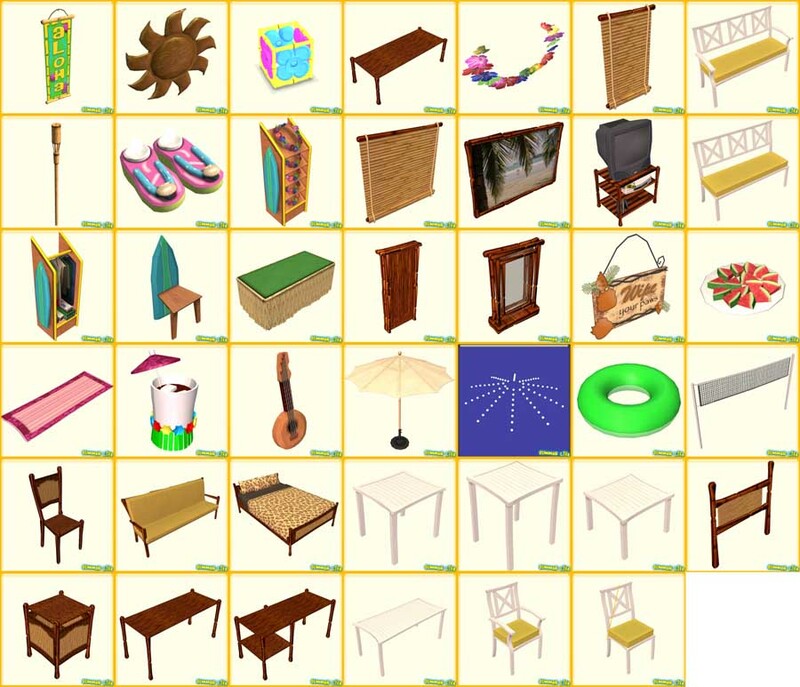 Now open the s2sumLobjects.zip and extract all the files to My Documents / EA Games / The Sims 2 / Downloads. Now do the same extracting for the s2sumLwalls.zip, s2sumLfloors.zip, and s2sumLclothes.zip in that folder. 4. Next open the s2sumLcollections.zip and extract those files to My Documents / EA Games / The Sims 2 / Collections. 6. Now open the s2sumLmusic.zip and extract all the files to My Documents / EA Games / The Sims 2 / Music and pick the section you want to hear the music in and when you play it on a stereo in the game it will be there! Enjoy! If you need help email me or PM me. #3 27th Aug 2006 at 2:40 PM Last edited by simfantastic2 : 27th Aug 2006 at 3:08 PM. These are fantastic, thank you so much! Amazing work! And very neat too. Love that plate of melon. Is it edible? Mmmm... only 14, can I adopt you? Great work. As soon as downloads are up again I'm gonna download it. I've never been married, but I tell people I'm divorced so they won't think something is wrong with me. Amazing :D. I am transferring funds from my bank account to paypal so I can make a donation. It will take 3-4 days though. No way your only 14 and you did all this awsome work! Can we say child prodigy. Your stuff is excellent, luv the tiki torches. wow. absolutely incredible work. thanks so much for sharing this with the community! Thank you from the deep of my hearth. I heard of your Summer Pack reading the news on Snooty Sims; when jumped in your site I was impressed by this pack and the Ester one too. You're going well, and deserve lot of donations. I knew that Fresh is a young prodigy (eheh, it's true) and now you're in the list too. Well done. Thank you forever, kiss and ciao. Thank-you so much for all your hard work! Mahalo for offering this great download! This will go perfect with my Honolulu neighborhood. (Mahalo means thank you in Hawaiian).